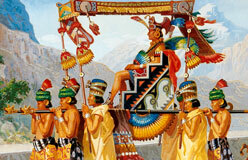 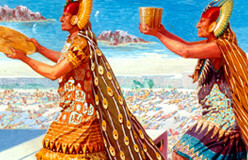 The Inca empire ended when the Spanish conquered it in the 1500s. 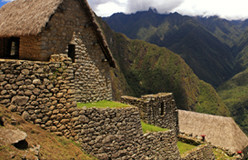 But high in the Andes, reminders of the Inca way of life are everywhere. 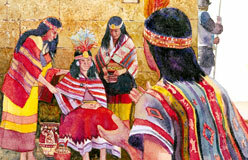 Many villagers still speak Quechua, the Inca language. 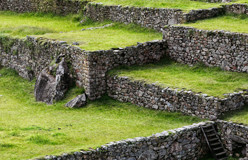 They prepare and eat foods much as the Incas did. 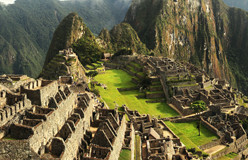 They plow their fields with ancient tools. 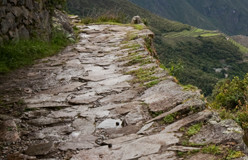 Today, visitors to Peru and other parts of the Inca empire can still walk in the footsteps of the Incas on parts of the royal road built so long ago.